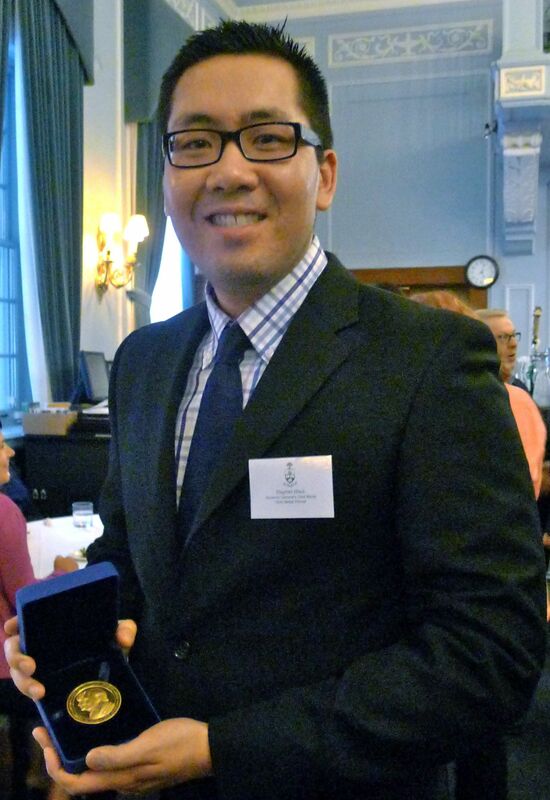 The Department of Laboratory Medicine and Pathobiology (LMP) would like to congratulate alumnus Stephen Mack (PhD) on receiving the Governor General’s Gold Medal. The Gold Medal is presented to three U of T graduate students who achieve the highest academic standing. Mack received this award at the School of Graduate Studies Awards and Fellowships Reception on Wednesday, May 28 at U of T’s Faculty Club. The Governor General’s Gold Medal was created in 1873 by Lord Dufferin, Canada’s third Governor General after Confederation, to encourage academic excellence across the nation. It has since become one of the most prestigious awards that Canadian students can receive. Mack completed his doctoral dissertation, “The Genetic and Epigenetic Basis of Posterior Fossa Ependymoma” in April 2014, under the supervision of LMP Professor Michael Taylor (MD, PhD, FRCSC). His resulting research has set a new standard for quality and impact in the area of translational medicine, and his findings have already been integrated into North American and European clinical trials. Mack identified novel biomarkers that distinguish between two newly-discovered types of childhood ependymoma, one being a brain tumour with a very good prognosis and the other an aggressive cancer with a dismal clinical outcome. His research has revealed novel avenues for drug therapy and – with unprecedented “bench-to-bedside” turnaround time – his laboratory work was translated into the real-time treatment of an ependymoma patient at the Hospital for Sick Children. In June, Mack will be moving to Cleveland where he has accepted a postdoctoral fellowship at the Cleveland Clinic/Lerner Research Institute, one of the top medical research centres in the US. His work will examine tumour cell heterogeneity and hierarchies in glioblastoma, the most common malignant brain tumour in adults.